No way in hell can B be a tougher group than G. It's just too much weight given towards Spain and the Netherlands. That group has Australia. Australia! Yes, I think there's too much weight given towards the teams from last World Cup's title match, yes. Why the hate on Australia? I would say they are about on par with every above average European team in this years World Cup. Depends what your meaning by 'above average', which could mean every European team in the Finals since you could argue that they're all above the average teams in Europe (Slovakia and Wales in the middle). If your relating them to Bosnia or Greece, sure. But when you put them in a group with the Champions, the Runners Up, and Chile who are part of a very strong South American group this year, not a chance. Australia will be an easy 3 for everyone. Key for the Dutch. Getting at least a point in that opening round game. Though, the second place in this group gets a date with Brazil in the Round of 16. Nothing new here but it's pretty obvious FIFA set the groups up to get as many clubs from South America into the round of 16. I think you mean the Round of 8 (quarterfinals). Compared to Asian, North American & Caribbean, and African teams, there is a better chance that South American teams advance to the Round of 8 because, although no confederation is represented twice in the same Group, South American teams are not "spaced-out" as much as AFC, CONCACAF, and CAF teams. To raise the odds that a South American team gets to the Round of 8, teams from South America are placed in groups adjacent to other groups with South American teams at a much higher rate than other confederations. Africa (5 teams): AXCXXFGH, G and H will play each other in Round of 16, which secures a spot for an African team in the Round of 8 should both African teams advance - get it? One Round of 8 matchup is the minimum with 5 teams (see below for chart). North America & Caribbean (4 teams): AXXDEXGX, same as Asia, the placement of confederation clubs into different groups must not be arbitrary, it seems like the teams of Asia and North America were placed into groups for competitive purposes. South America: ABCDEFXX (6 teams), should all 6 teams go on to Round of 16, they would all play each other. This is the most possible, also the opposite of Asia and North America. The South America draw happens to be the optimal structure for South American teams to advance to the Round of 8 should all teams finish their respective group stages in position to play the other South American team from the adjacent Group. No other confederation is optimally situated (besides UEFA, which has more teams in the tournament than there are groups in the group stage), in fact, Asian and North American teams are least-optimally organized for Round of 8 matches against intra-confederation countries. Each confederation sends 3 teams to the tournament (12 teams), 1 group, 1 location, balanced schedule (one game against each opponent), no playoffs. Oh, and North and South America are combined into CONMECAFMEBOL and OFC and AFC become OAFC. You've max-ed out your stay here. You seem like max... Yet you more sense then he did (ever so slightly). Therefore, I do not know anything, except that I'm hungry. Rose Bowl - Pasadena (100th anniversary of the stadium) - Would be used for final match only. Then that'll screw Canada in 2026. All three major federations in CONCACAF are bidding for 2026, I mean the US hasn't confirmed yet. If they were to strip Qatar, it'd probably end up in England, France or Germany. Canada isn't getting the World Cup in 2026. They're going to have to expand nearly every stadium, and they'll have to build a brand new one for the final as the capacity has to be at least 80 000. In contrast, you have the US, where they already have dozens of established stadiums that can host the tournament tomorrow. 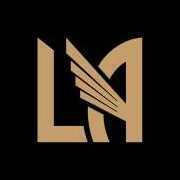 Aside from some minor renovations, the only new stadium that they would possibly need to build is a new stadium in Los Angeles if they don't have an NFL team by then (which they will). There's absolutely no reason for FIFA to choose Canada over the US. The US World Cup still holds records for attendance. Imagine having one in the near future, with how popular soccer is becoming in this country. I love Canada. I really do. My uncle lives in Calgary like you but in no uncertain terms is Canada getting a World Cup anytime soon. Which is no doubt due in part to the fact that they're hosting the Women's World Cup next year. Not really, but logistical burden of hosting Women's World Cup fans =/=/=/=/=/=/=/=/= logistical burden of hosting Men's World Cup fans. This implies that the Rose Bowl is considered "obsolete" to host FIFA-related events. It's still capable of holding USMNT friendlies, international club friendlies, and CONCACAF Gold Cup matches. I don't see what the issue is for using Pasadena again in 2026.